An Apache burden basket woven in 2000 by Alma Altaha (San Carlos Apache Nation). You can see where she wove ALTAHA into the horizontal stripe of the basket. It was probably made for the Sunrise Ceremony (puberty celebration) of a girl in her family. I bought it at Action Pawn in Globe, Arizona, outside of the reservation. 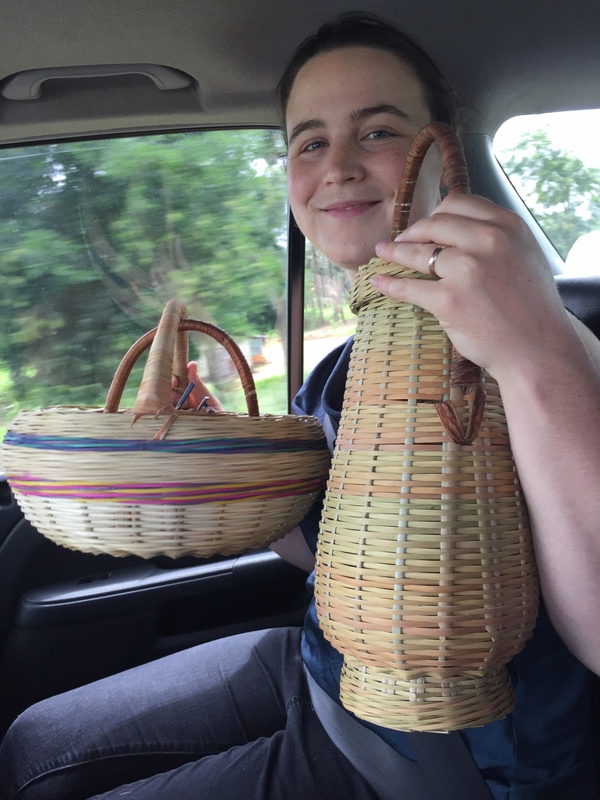 A Peace Basket from Kigali, Rwanda, I purchased in 2014. 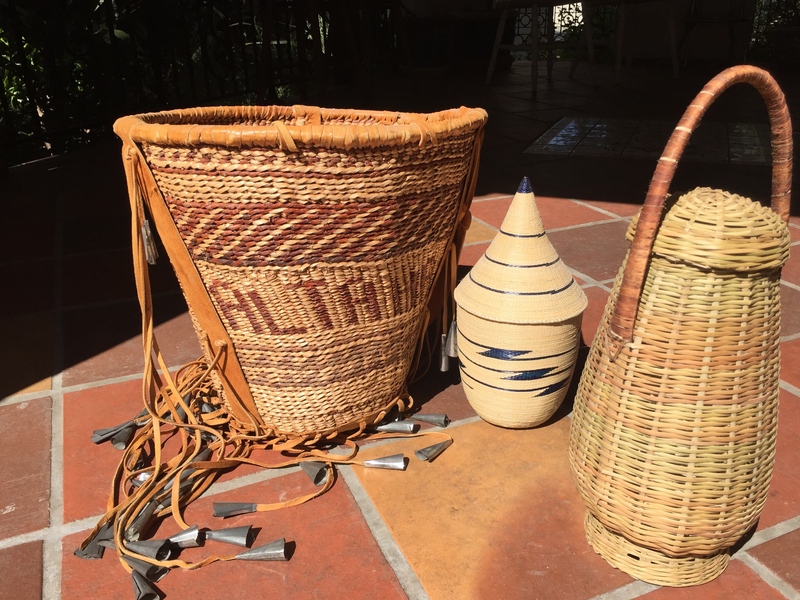 These baskets are a symbol of the peace after the 1994 Rwandan genocide.